Need fresh contents for Pinterest but no time to write new posts or make new pins? Pinterest templates will help you make lovely pins in just a few minutes saving you time and energy. - Get consistent traffic to your old and new blog posts by saving new pins on Pinterest consistently. - Test which pin templates convert better and use it to create different pin graphics for your post to increase sales, sign ups and engagement using Pinterest. - Use the Pinterest templates over and over again. Get the 15 Feminine Pinterest Templates here and the awesome bonuses today so you can start making multiple pins in less time! - 15 Beautiful Pinterest Templates. (600 x 900 pixels). - Viral Pin Guide - My 3 proven tricks to creating pins that convert. 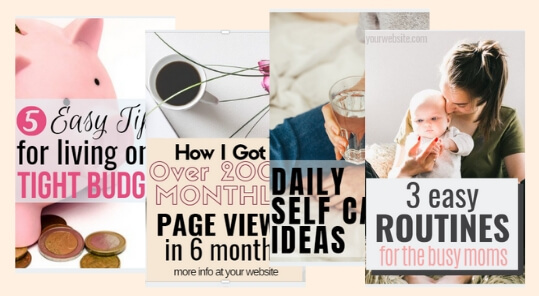 - 2 opt-in blog banner templates to grow your list. Use these templates to show how you can solve your reader's pain point. 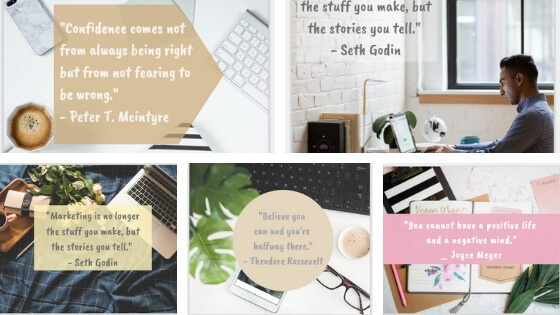 You can easily customize these templates by replacing the image, adding your own headline and changing the fonts and colors to fit your personality and branding. Ready to make Pinterest work for you? Grab these 15 Feminine Pinterest Templates today to quickly make multiple pins in just minutes. 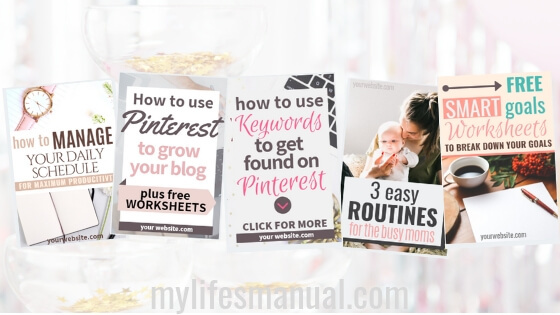 If you use Pinterest to get blog traffic but tired of making new pins, these pre-made pin graphics can help you create beautiful pins quickly. 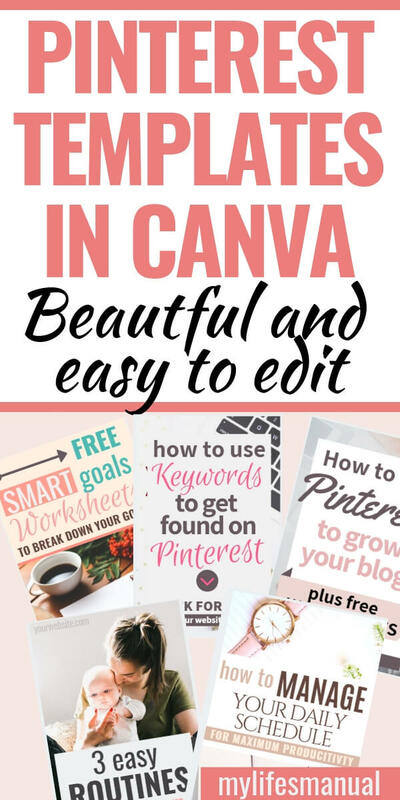 Grow your blog and build your list using Pinterest and these Templates in Canva. Or get both the 15 Feminine Pinterest Templates ($14.95) and the 16 customizable Pinterest templates ($9.95) for only $19. 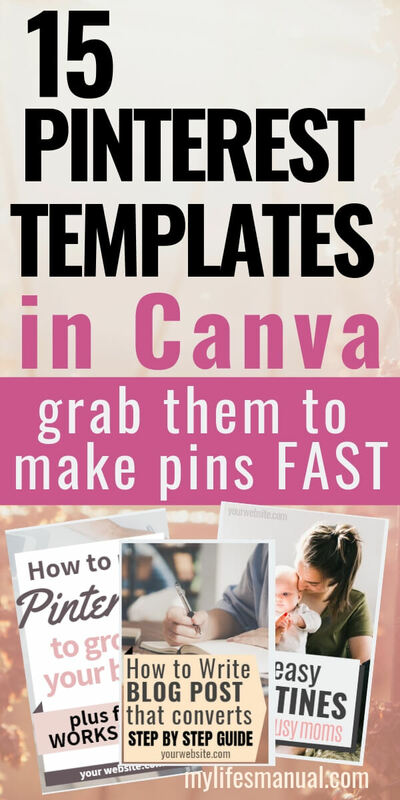 A total of 31 easy to edit Pinterest Templates in Canva PLUS awesome bonuses. 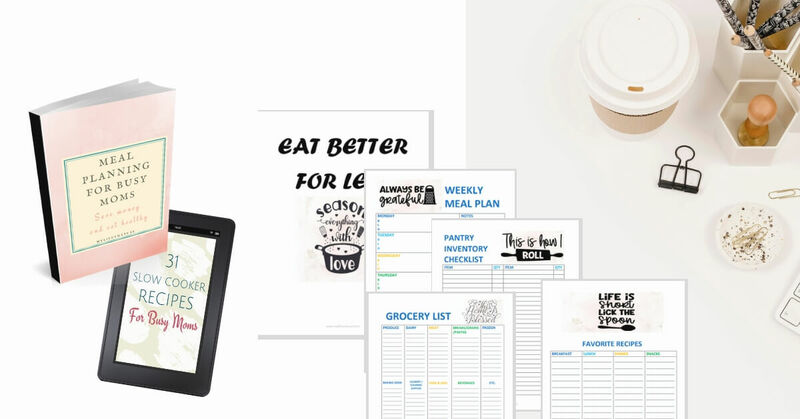 Go get the Pinterest Templates Bundle here and save 20% off the price. Promote these Pinterest Templates and get paid when you make sales. I'm paying my affiliates 35%. Sign up here! these are really good! Thank you for sharing.